Voorhees School, the University of the Ozarks’ iconic rock-walled building that has anchored the southwest corner of campus for nearly eight decades, has been selected for inclusion into the prestigious National Register of Historic Places. Known as Voorhees Hall for much of the past 70 years, it was among 30 properties throughout the U.S. named to the national register by the National Park Service earlier this month. The register is the official list of the nation’s historic places worthy of preservation. Completed in 1941 as Voorhees School, it is the third U of O property on the National Register of Historic Places, joining Munger-Wilson Memorial Chapel (1933) and MacLean Hall (1927). Construction on Voorhees began in the late 1930s as a joint project between the college and the Clarksville schools. It was built by the National Youth Administration (NYA) for $21,700 and named after Mary T. Voorhees of Clinton, N.J., who made several donations for the construction of the building. Voorhees School was originally used as a practice teaching school by the college’s education students to teach ninth-graders in the Clarksville area. It was used as a school for just over a year before the college turned over the campus to the U.S. Navy during World War II in 1944-45 to be used as a training facility. Voorhees was one of the primary teaching facilities for the early radar training during the 16-month period the Navy utilized the campus. Over the years, the building has housed the state’s first pharmacy school as well as a student union, alumni and public relations offices, an art museum and art classes, the Walton International Scholarship Program offices and psychology laboratories. It is currently being renovated and will be leased as a restaurant by Shane and Angela Kasper, former owners of Pasta Grill in Clarksville. Kasper’s restaurant is expected to open in January. Authorized by the National Historic Preservation Act of 1966, the National Park Service’s National Register of Historic Places is part of a national program to coordinate and support public and private efforts to identify, evaluate, and protect America’s historic and archeological resources. For the third consecutive year, University of the Ozarks has been ranked No. 3 in the Best Regional Colleges of the South category by U.S. News & World Report. In its 2019 edition of Best Colleges, which hit the newsstands this week, U.S. News listed U of O third among the list of more than 80 regional colleges in its 12-state South Region. The overall rankings examine such criteria as academic reputation, graduation and retention rates, faculty resources, student selectivity, financial resources and alumni giving. It is the 20th consecutive year that Ozarks has been ranked a “top tier” university by the publication. Ozarks has been ranked among the top 10 of schools in the South Region in each of the past eight years, including third in each of the past three years. Ozarks, which posted a record enrollment of 872 students this semester, was also ranked No. 12 in the South in the “Best Value” category in the magazine’s annual late summer publication that analyzes institutions of higher education. The value rankings evaluate the cost of attending a college or university relative to the quality of the institution. In addition, U.S. News ranked Ozarks tied for first in the region in the category labeled “The Foreign Student Factor,” which looks at the percentage of undergraduate international students enrolled at universities. Both Ozarks and Webber International University in Florida reported 19 percent of its student population as international. The publication’s South Region consists of primarily undergraduate colleges and universities in Arkansas, Louisiana, Mississippi, Georgia, Alabama, Florida, Tennessee, Kentucky, North Carolina, South Carolina, West Virginia and Virginia. University of the Ozarks continues to be one of the fastest-growing universities in the region, shattering enrollment and admission records for the second consecutive year and topping 800 students for the first time in its history. A total of 872 students are enrolled at U of O for the Fall 2018 Semester, the most in the University’s 184-year history and a 15 percent increase over last year’s previous record of 755 students. Enrollment at Ozarks has increased 49 percent since 2013, when 585 students were enrolled. The incoming class, which includes first-time freshmen and transfer students, is 323 — the largest incoming class in the University’s 184-year history and a 38 percent increase over the incoming class of 2016. The university also reported a retention rate of 75 percent for last year’s freshman class from fall 2017 to fall 2018, a 15 percent increase over the fall-to-fall retention rate from the previous year. This year’s student body is one of the most geographically diverse in the University’s history with182 international students from 25 countries, including the Bahamas, Belgium, Haiti, Germany, Guatemala, Japan, Malaysia, Panama, Russia, Rwanda, South Korea, Spain and Zimbabwe. Ozarks also has students from 27 states and the U.S. territory of Puerto Rico. The University is also setting records for enrolling local students, with 169 students from the River Valley counties of Johnson, Pope, Conway, Franklin, Logan and Crawford. A total of 104 students hail from the University’s home county of Johnson, including 40 in the incoming class. Dunsworth said the University and its board of trustees have worked to hold, and in some cases decrease, the cost of attending Ozarks for students and their families over the past six years by eliminating fees, freezing tuition, increasing scholarship support and placing an emphasis on technology. Reggie Hill, vice president for marketing and enrollment, said the University closed admission in June for the second consecutive year. Renowned storm chaser and extreme meteorologist Dr. Reed Timmer will speak at University of the Ozarks on Thursday, Sept. 27, as part of the University’s 2018-19 Walton Arts & Ideas Series. The event will begin at 7 p.m. in the Rogers Conference Center. There is no cost for admission and the public is invited. Timmer will discuss his career as a TV meteorologist and celebrated storm chaser. There will be a question and answer session with Timmer at the end of his presentation. Timmer completed a Ph.D. in meteorology from the University of Oklahoma in 2015 after starring on Discovery Channel’s hit TV series Storm Chasers for four seasons. He has been storm chasing for Accuweather the last two years, providing coverage of extreme weather in the U.S. such as tornadoes, hurricanes, blizzards and flash floods. He most recently covered Hurricane Lane in the Hawaiian islands in August. Reed has documented more than 1,000 tornadoes and dozens of hurricanes in 18 years of storm chasing, including historic extreme weather events like Hurricane Katrina in 2005 and the super tornado outbreak in “Dixie Alley” in April of 2011. Reed is well-known for his tenure on the Storm Chasers series during 2008-2011, and the intercepting of tornadoes using custom-built, armored tank-like vehicles called the Dominators. Reed published an autobiographical and educational book, “Into The Storm,” in 2010. When he’s not chasing storms, Timmer can often be found in university lecture halls and civic auditoriums speaking on severe weather preparedness and the science of extreme storm chasing or researching the seasonal climatology of severe weather and its teleconnections with the Pacific and Atlantic Oceans and Gulf of Mexico. U of O alumnus Joe Pennington, a meteorologist with KFSM, Channel 5 in Fort Smith, will introduce Timmer at the event. The Walton Arts & Ideas Series has been sponsored by the Walton Family Charitable Support Foundation since 1994. For more information about this year’s series, please contact the Office of Public Relations at 479-979-1420. University of the Ozarks has entered into an articulation agreement with Northwest Arkansas Community College (NWACC) in Bentonville, Ark., to simplify the process for students at NWACC who want to transfer to U of O. Under this new partnership, a number of NWACC degrees—Associate of Applied Science (A.A.S), Associate of Arts (A.A.) and Associate of Science (A.S)—are now acceptable for transfer articulation to bachelor degrees at Ozarks. The transferring students would be admitted to Ozarks with junior status and could complete their bachelor’s degree in two years. Dr. Alyson Gill, provost at U of O, said the agreement will allow NWACC students to start their education with quality courses, close to home, and know that their coursework will count toward a four-year degree at U of O later. The agreement was finalized in a memorandum of understanding signed by U of O President Richard Dunsworth and NWACC President Dr. Evelyn Jorgenson earlier this semester. It officially begins in the Fall 2018 Semester. Established in 1990, NWACC has more than 7,200 students enrolled in more than 50 academic and technical programs. 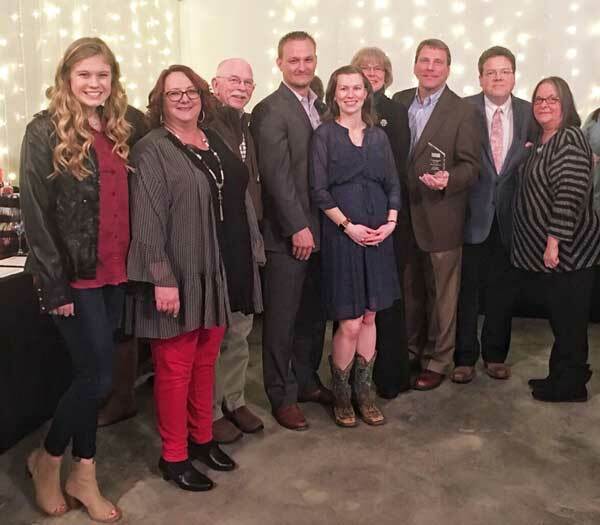 University of the Ozarks was selected as the 2017 Corporate Business of the Year at the annual Clarksville-Johnson County Chamber of Commerce Awards Banquet, held Feb. 3 at the Cabin Creek Lookout in Lamar. In presenting the award, chamber officials cited the University for its record enrollment of 755 students during the fall semester as well as its current $55 million Climb Higher fund-raising campaign to increase student scholarship opportunities and to enhance science and athletic facilities. Representing the University at the banquet included, (pictured from left) Joey Long, a freshman biology major from Cabot; Pat Pearson, administrative assistant for alumni relations; Chris Allen, a member of the Board of Trustees; Brett Wood, director of alumni relations; Nicole Wood, a senior health science major from Clarksville; Ruth Walton, director of career services; Larry Isch, director of public and media relations; Dr. Scott Sheinfeld, assistant professor of business; and Ramona Cogan, office manager for marketing and public relations. Also at the Chamber Awards Banquet, El Parian restaurant was named the 2017 Small Business of the Year, Tom Cogan was presented with the Lee White Legacy Award and Carol Martin was honored with the Pillar of Progress Award. 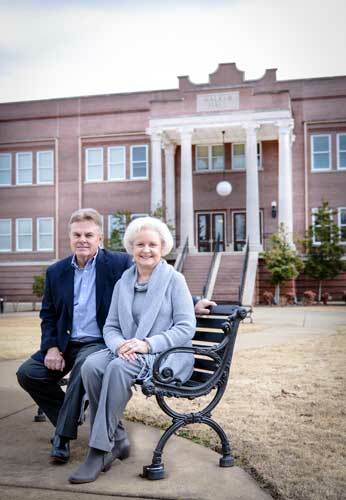 University of the Ozarks alumna Edna Elkins Patterson (Class of 1967) and her husband, John, have created a new scholarship endowment at Ozarks to assist elementary education students from Johnson County. The long-time Clarksville residents established The Edna Elkins Patterson and John S. Patterson Education Scholarship recently with a gift commitment of $100,000. The first preference for the scholarship is to assist students from Johnson County who are majoring in elementary education. After graduating from Ozarks in 1967 with a degree in elementary education, Edna served more than 35 years as a teacher and media specialist, including 32 years in Clarksville elementary schools. She also taught in Van Buren, Ark.,, and Springdale, Ark. Edna, whose family moved to Clarksville when she was 5, said that while she was a student at Clarksville High School she served as an aide to school librarian Lois Smith, wife of long-time Ozarks biology professor T.L. “Prof” Smith. Lois Smith encouraged Edna to attend then College of the Ozarks. Edna said attending Ozarks was one of the best decisions she ever made. The Pattersons, who will celebrate their 50th wedding anniversary in June, said the scholarship endowment stands as testimony to the faith journey they have had through their worship and service at First Presbyterian Church of Clarksville. The Patterson have two children, Page Patterson Hardin and Penny Patterson Coffman, and three grandchildren, Abigail, Regan and Graham. John, a fourth generation Clarksville resident who retired in 2007 after serving as a circuit court judge in Franklin, Johnson and Pope counties, said he and his wife feel blessed to be able to help Ozarks students. University of the Ozarks President Richard Dunsworth announced today the appointment of Dr. Alyson A. Gill as the University’s new provost. 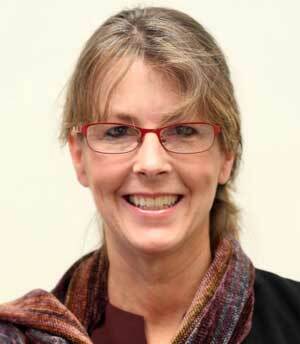 Dr. Alyson A. Gill was appointed as provost of University of the Ozarks. Currently the associate provost for instructional innovation at the University of Massachusetts, Amherst, Gill will begin her new duties at U of O on Feb. 1. As the chief academic officer at Ozarks, Gill will oversee all academic functions of the University, including the four divisions, the Jones Learning Center, and Student Support Services. She will also provide senior leadership in the areas of accreditation and assessment. Gill also is an associate professor of art history at UMass Amherst. She previously served 15 years as an instructor and professor of art history at Arkansas State University, earning tenure before leaving in 2015 to accept the position to lead instructional innovation at UM Amherst. At Arkansas State University, Gill served as the founding director for the Center for Digital Initiatives. At UMass Amherst, she led a staff of 30-40 providing innovative tools for faculty to use in their courses to support their pedagogies. The six-month, nationwide search drew 76 applicants, according to Dr. Steve Oatis, dean of the Division of Humanities, Fine Arts and Communication and chair of the search committee. The committee narrowed the pool of candidates to eight for video interviews and three finalists were chosen for on-campus interviews. Gill joins Ozarks during a time of record growth and amid one of the most ambitious capital campaigns in its history. The University hit an all-time enrollment high of 755 students during the Fall 2017 Semester and is in the third year of a five-year, $55 million campaign to enhance student scholarships and improve science and athletic facilities. Gill earned her undergraduate degree in psychology from Trinity University in San Antonio, Texas. She earned a master’s degree in art history from University of California-Irvine and a Ph.D. in history from the University of Memphis. She is currently working on an MBA at UMass Amherst. Her husband, Dr. Eric Cave, is a professor of philosophy at Arkansas State University. She replaces Dr. Travis Feezell, who left Ozarks in 2017 to accept the presidency at Hastings College in Nebraska. For the first time in almost 30 years University of the Ozarks students will have the opportunity to participate in the U.S. Army Reserve Officers’ Training Corps (ROTC) program. 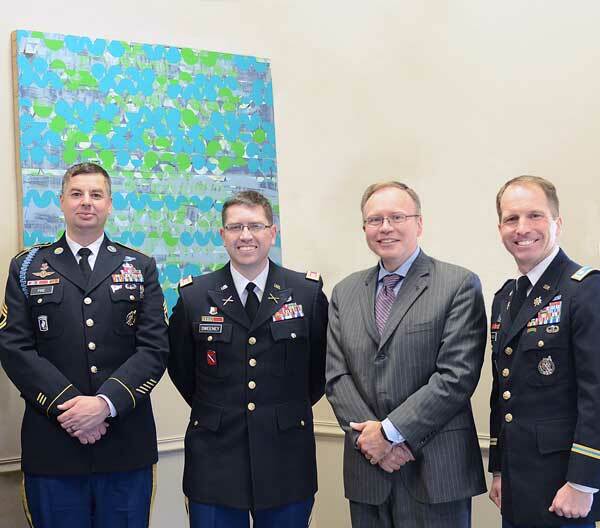 The University has re-established its ROTC program for the Spring 2018 Semester in collaboration with the University of Central Arkansas’ (UCA) ROTC program. Ozarks last had ROTC on campus in the late 1980s. According to U of O Assistant Vice President for Advancement Reggie Hill, approximately a dozen current Ozarks students have shown interest in being part of the new program that prepares selected students to serve as commissioned officers in the active or reserve components of the Army. U of O’s new program will fall under the administration of UCA’s program, which includes eight Arkansas colleges and universities and forms the Bayonet Battalion, headquartered at UCA. Ozarks is planning to add a minor in military science for the Fall 2018 Semester, according to Hill. U of O students enrolled in the ROTC program will take military science classes and leadership labs as well as conduct physical training through the Arkansas Tech University affiliate program in Russellville. According to CPT Matthew Sweeney, assistant professor of military science and officer in charge at ATU, there are 35 students enrolled in the ROTC program at Tech. Army ROTC offers two, three and four-year scholarships, awarded strictly on merit. The scholarship covers full tuition and fees. Additionally, they receive a stipend of $300 a month as a freshman, $350 a month as a sophomore, $450 a month as a junior, and $500 a month as a senior, as well as a stipend for books. The Army ROTC Program is of modular construction and is composed of a basic and an advanced course. Enrollment in the basic course is open to all full-time students, and it carries with it no obligation for military service. Completion of the basic course is a prerequisite for application to the advanced course. Upon successful completion of the program and graduation from college, young men and women become an Army Lieutenant in either the active Army, Army National Guard, or the U.S. Army Reserve. For more information on the University’s ROTC program, please contact the U of O Office of Admission at 479-979-1227.